The four jury members so far are all ex-Zapatera members. How will the primarily Zapatera jury vote for the likely Ometepe finalists? The Murlonio five site around the fire while Rob adds some kindling. 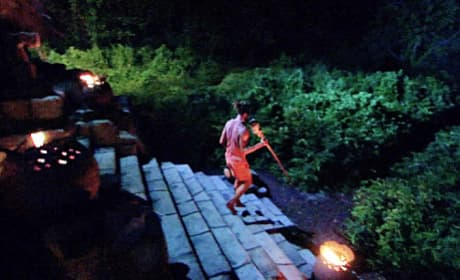 The tribe wanted to send Ashley home, but when she won immunity, Grant became the target. Natalie and Rob enjoy a rare light moment at camp. Ashley, listening in, tends to the fire. Natalie and Ashley discuss their argument with Phillip, which is fresh in their mind. The pair argued with Phillip over how much rice to eat. It may be hot in Nicaragua most of the time, but the mornings can still be cold. Particularly when you women like Natalie and Ashley have lost a significant amount of weight. With just five Murlonio members remaining, the boys try to figure out how to best position themselves. 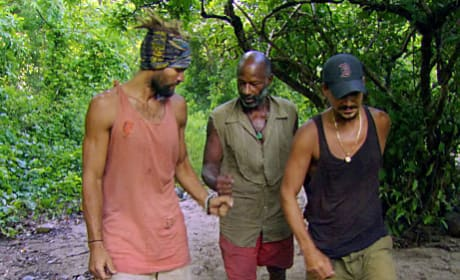 The trio figures Ashley makes sense to send to Redemption Island. Blindsided by his tribe, Grant is sent to Redemption Island. 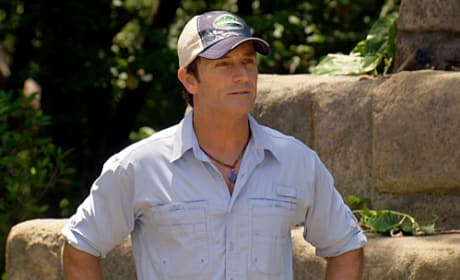 After Ashley won immunity, Boston Rob and company felt they had no choice but to vote out Grant. Boston Rob reads the tree mail clue aloud to the Murlonio tribe. 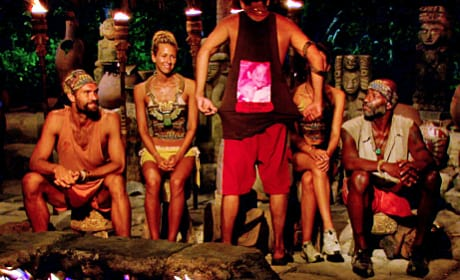 Down to just five members, the Murlonio tribe would face a challenging vertical puzzle to win immunity. Fearing for her safety in the game, Ashley wins a crucial immunity. 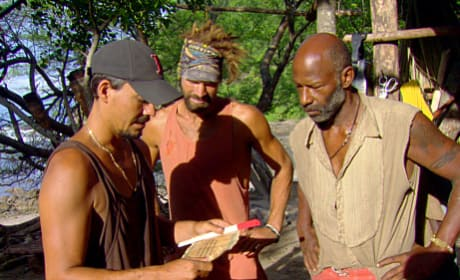 The challenge pitted the castaways abilities to complete a challenging vertical puzzle. Phillip Sheppard explodes in anger at Natalie and Ashley. The trio were arguing over how much food to eat. 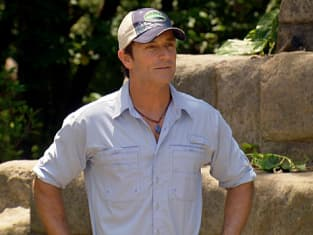 Survivor host Jeff Probst moderates a duel at Redemption Island. 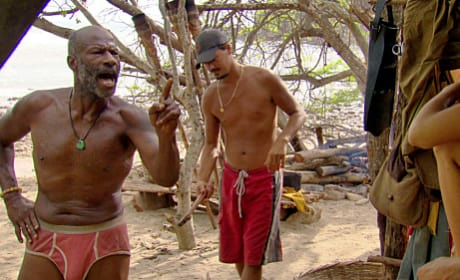 The winner of Redemption Island gets to rejoin the game.